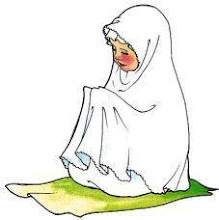 اللّهُـمَّ اجْعَـلْ في قَلْبـي نورا ، وَفي لِسـاني نورا، وَاجْعَـلْ في سَمْعي نورا، وَاجْعَـلْ في بَصَري نورا، وَاجْعَـلْ مِنْ خَلْفي نورا، وَمِنْ أَمامـي نورا، وَاجْعَـلْ مِنْ فَوْقـي نورا ، وَمِن تَحْتـي نورا .اللّهُـمَّ أَعْطِنـي نورا . 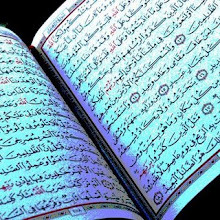 Allahummaj- 'al fee qal-bee noora, wa-fee lisa-nee noora, waj-'al fee sam-'ee noora, waj-'al fee ba-sa-ree noora, waj-'al min khalf-fee noora, wa-min a-ma-mee noora ,waj-'al min faw-qee noora, wa-min tah-tee noora, Allahumma a'-tinee noora. Recitation of short Makkan Surah (last juzu' of the Qur'an - as arranged in 'Baghdady muqoddam'), commonly memorized and used for recitation in daily Swolah. Imam Ali ibn Abi Taleb's ( كرّم الله وجْهه ) Mathematical Brilliance : "Whole number, not fraction"
One Day a Jewish person came to Imam Ali ( كرّم الله وجْهه ), thinking that "since Imam Ali thinks he is too smart, I'll ask him such a tough question that he won't be able to answer it and I'll have the chance to embarrass him in front of all the Arabs." 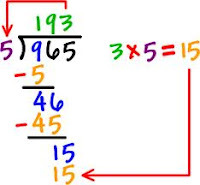 He asked Imam Ali, "Tell me a number, that if we divide it by any number from 1-10 the answer will always come in the form of a whole number and not as a fraction." Imam Ali ( كرّم الله وجْهه ) looked back at him and said, "Take the number of days in a year and multiply it with the number of days in a week and you will have your answer." The Jewish person was astonished, but as he was an unbeliever (Mushrik), he still didn't believe Imam Ali ibn Abu Talib ( كرّم الله وجْهه ). So he calculated to check the answer Imam Ali ibn Abu Talib ( كرّم الله وجْهه ) gave him. Imam Ali ibn Abi Taleb's ( كرّم الله وجْهه ) Mathematical Brilliance : "Five Loaves of Bread"
Two travelers sat together on the way to their destination to have a meal. One had five loaves of bread. The other had three. A third traveler was passing by and at the request of the two joined in the meal. The travelers cut each of the loaf of bread in three equal parts. Each of the travelers ate eight broken pieces of the loaf. At the time of leaving the third traveler took out eight dirhams and gave to the first two men who had offered him the meal, and went away. On receiving the money the two travelers started quarrelling as to who should have how much of the money. The five-loaf-man demanded five dirhams. The three-loaf-man insisted on dividing the money in two equal parts. The dispute was brought to Imam Ali ( كرّم الله وجْهه ) (the Caliph of the time in Arabia) to be adjudicate. Imam Ali ( كرّم الله وجْهه ) requested the three-loaf-man to accept three dirhams, because he said : "five-loaf-man has been more than fair to you." The three-loaf-man refused and said that he would take only four dirhams. At this Imam Ali ( كرّم الله وجْهه ) replied, "You can have only one dirham." "You had eight loaves between yourselves. Each loaf was broken in three parts. Therefore, you had 24 equal parts. Your three loaves made nine parts out of which you have eaten eight portions, leaving just one to the third traveler. 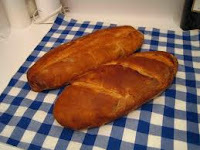 Your friend had five loaves which divided into three made fifteen pieces. He ate eight pieces and gave seven pieces to the guest. As such the guest shared one part from your loaves and seven from those of your friend. So you should get one dirham and your friend should receive seven dirhams." 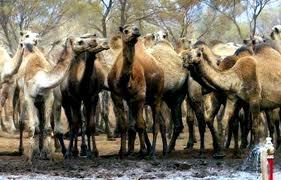 Imam Ali ibn Abi Taleb's ( كرّم الله وجْهه ) Mathematical Brilliance : "Dividing 17 Camels"
"I have 17 Camels, and I have three sons. Divide my Camels in such a way that my eldest son gets half of them, the second one gets 1/3rd of the total and my youngest son gets 1/9th of the total number of Camels." So they all came to the door of Imam 'Ali ibn Abi Taleb ( كرّم الله وجْهه ) and put forward their problem. Imam 'Ali ibn Abi Taleb ( كرّم الله وجْهه ) said, "Ok, I will divide the camels as per the man's will." Imam 'Ali ibn Abi Taleb ( كرّم الله وجْهه ) said, "I will lend one of my camels to the total which makes it 18 (17+1=18), now lets divide as per his will." Then Imam 'Ali ibn Abi Taleb ( كرّم الله وجْهه ) said, "Now I will take my Camel back." "O Allah! 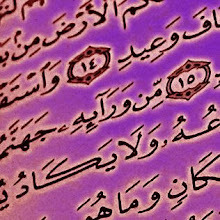 Bless us with the Qur'an, make it for us as leader (IMAM), as enlightenment(NUR), as guidance(HUDA) and as Mercy(RAHMA); O Allah make us to remember that which we've forgotten, and teach us that which we are ignorant of; and grant us ability to recite it night and day; and make it for us, as Proof to support us(HUJJATAN) - O Lord of the worlds!" 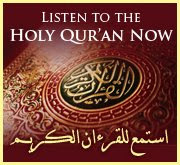 "WIRD AL-LATIFF" of Imam 'Abdullah al-Haddad rhm. "WIRD OF IMAM AN-NAWAWI RHM." TO SEE TEXT OF "WIRD-AL-LATIF"
"HIZB AL-BAHR" of Imam Sheikh Abul Hassan ash-Shadzli rhm. STORIES OF THE COMPANIONS OF THE PROPHET S.A.W. ZERO.NET LINK - "don't hate, educate !"